Tanzanian bongo star has come out and shared the picture of his fourth child for the first time, after being delivered on February 28th this year. 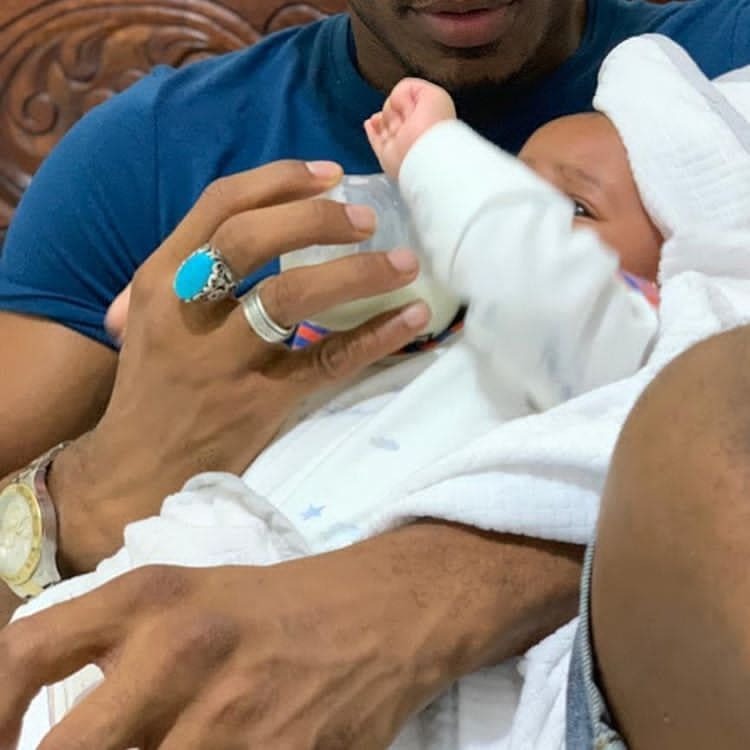 Today, Ali Kiba took to his Instagram and shared with his fans a picture of him while feeding his son milk. THANK YOU GUYS, GOD IS GREAT. Kiba tied the knot with Amina Khalef, 23, after dating secretly for close to two years. He has four children. Here is how some of his fans reacted to his post. Abdallahlolinga wrote: Hongera Kiba iyoooooo. Eliphasclemen said: Beautiful baby like father like son. Muoza661 wrote: Yalabi kinjuli kisukari. Tumuone basi 殺殺殺殺 . Arafa_arafati said: Mungu amkuze mtoto wetu.